Melanie was born and raised in Albuquerque, New Mexico, along with her three sisters, who today are some of her best friends. After college, she spent a couple of sunny years in the Grand Canyon State (Arizona) before relocating to Texas for her husband’s military career. 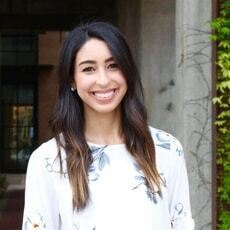 She earned a bachelor’s degree in Human Development and Family Relations from the University of New Mexico and began working on a master’s degree in Counseling before deciding to pursue a career in real estate. She became obsessed with real estate after being introduced to the idea of using real estate as an investment. As a military spouse, Melanie understands that relocation, whether it be across the street or across state lines, can be a difficult and sometimes stressful process. She strives to consistently provide services that are honest, thorough, and client-focused. In her free time, Melanie enjoys visiting family and friends in various states across the country, exploring new places with her husband, and spending time with her church community.